A large number of people attended the MIA Christmas Party took place on Friday 19 December last in their offices in the Social Services Centre, Castlebar. 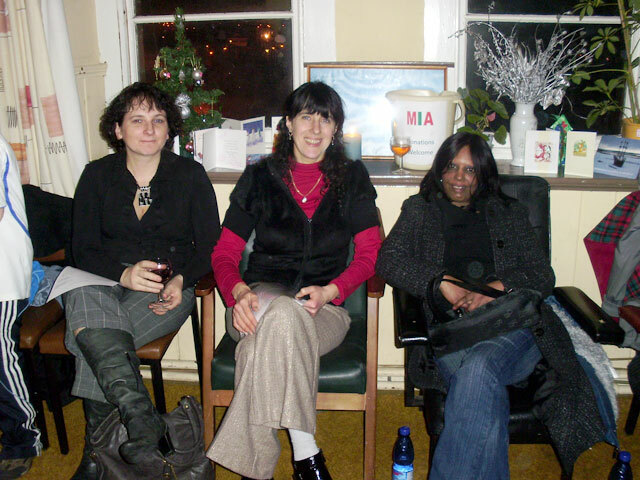 The successes and achievements of MIA in 2008 were acknowledged on the night; these include the winning of the Vodafone World of Difference Award, the World Refugee Award and the nomination for MAMA award 2008. The visit by Mary Robinson to MIA in July 2008 was also acknowledged as one of the highlights of the year. 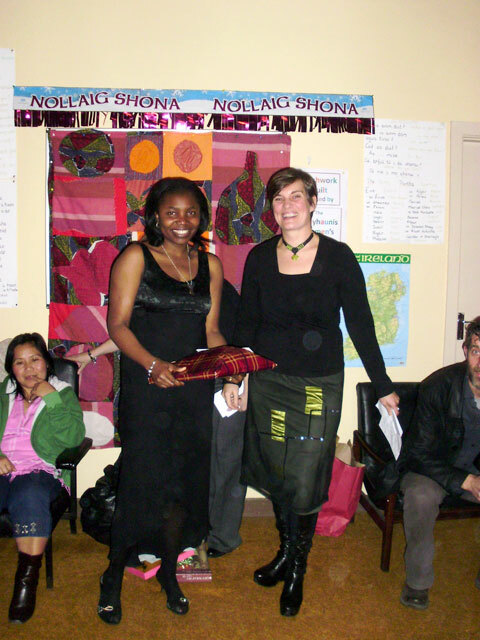 Present on the night were members of the different groups facilitated and organised by MIA such as Intercultural singing group; English Language Social Club; Irish language Group; Ballyhaunis Women’s group; Intercultural Craft Circle etc. Rose Mary Abu receives an award from MIA co ordinator Therese Ruane for her invaluable contribution as a volunteer to MIA. The large number of volunteers contributing to, and working with, MIA were given special awards and presentations in acknowledgement of their invaluable contribution to MIA. There are more than 25 people volunteering with MIA who give so much of their time and are so committed to the work of MIA. They come from the four corner of the globe as well as from the local Irish population. Ella from Poland, Olga from the Ukraine and Veegy from South Africa who received awards for Volunteerism in MIA.